TRAX Retractable Curtain Walls are used in a variety of industries to effectively control environments, preserve energy, provide safety and prevent contamination. Use your space more efficiently while protecting your employees from dust, dirt and other contaminants. 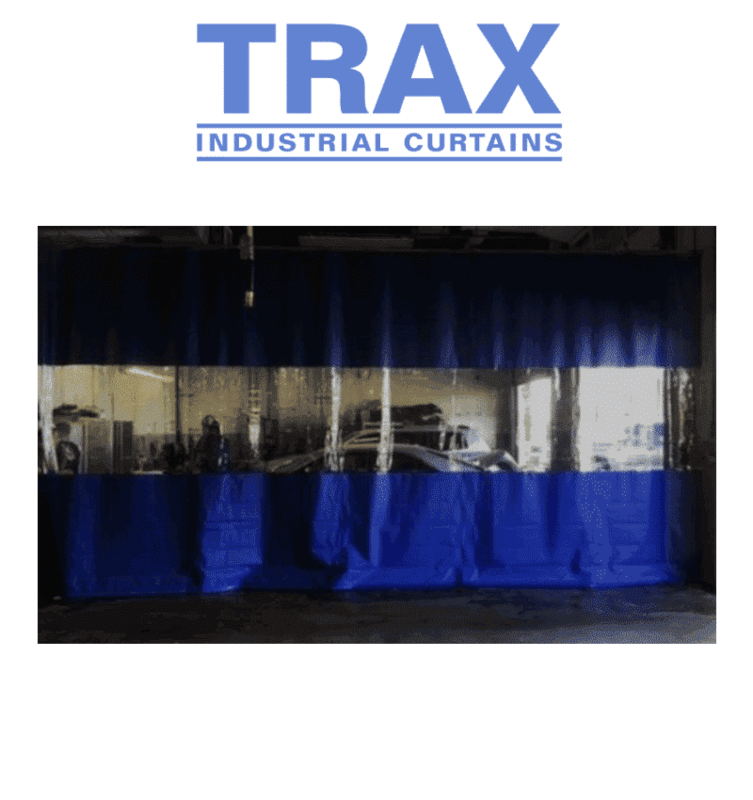 Why choose TRAX industrial curtain walls? Simple, easy to install rolling track and trolley systems are shipped within 5 days and ready to use. Partition curtain walls manufactured by TRAX Industrial Products create efficient use of space while protecting employees from dust, dirt, and other airborne contaminants. TRAX curtain wall system also provide temperature control along with energy savings by separating the conditioned and non-conditioned space in your work environment. Choose from a combination of crystal clear flexible vinyl and colored reinforced vinyl curtain walls to create an environment that is aesthetically pleasing as well as practical. If visibility is your main concern, use all clear vinyl material. If privacy is required, use all opaque black material. Curtain Walls can be statically mounted or provided with roller track hardware to make them retractable. 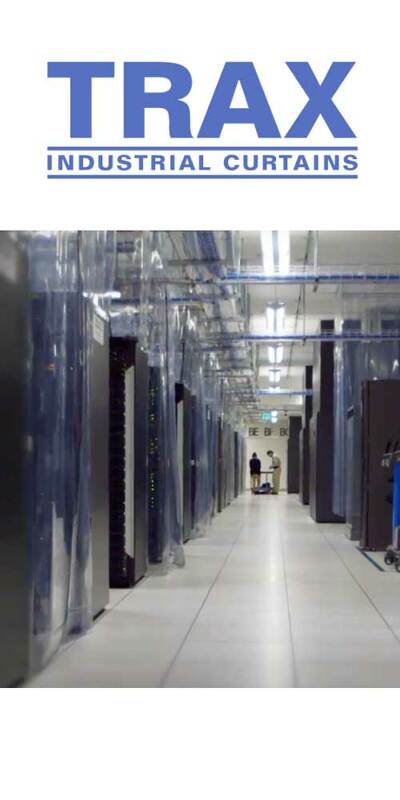 Specializing in data center containment, clean room curtains, laser barriers, industrial room dividers partitions, strip doors, airport draft curtains, TRAX takes pride in fabricating custom products to fit the specific needs of each and every application presented to us by our customers. Customers all over the world partner with TRAX to build their curtain wall system to save on energy, space & provide safety.